In 1954 the cherries of North Ogden received wide-spread recognition when Mrs. Beverly Erickson won the National Cherry Pie Baking Contest. In 1955 national recognition came to North Ogden during the July 4th Cherry Days celebration. Senator Wallace F. Bennett was the guest speaker. He was presented with two boxes of hand-packed cherries. One box was a gift for Senator Bennett; the other he was to deliver to President Dwight D. Eisenhower. 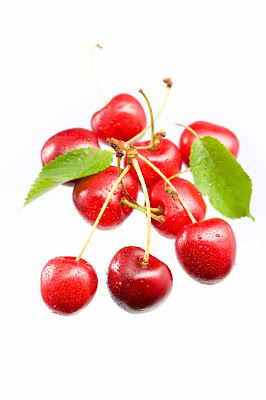 Senator Bennett said that he would personally deliver the cherries to President Eisenhower early the next morning. • 1976 – Robert Redford, famous actor and founder of the Sundance Film Festival. 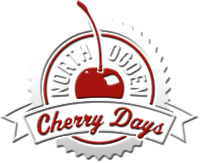 Cherry Days has been held for over 80 years and continues on in the great traditions of the people of North Ogden City. Information derived from: “A History of North Ogden: Beginnings to 1985”, Floyd J. Woodfield, Empire Printing, Ogden, Utah.